GroupWise® gives employees robust email, calendaring, task management, and contact management tools wherever they wander. The same goes for admins, who get streamlined and web-based administration to let them monitor, manage, and make things happen on the go. 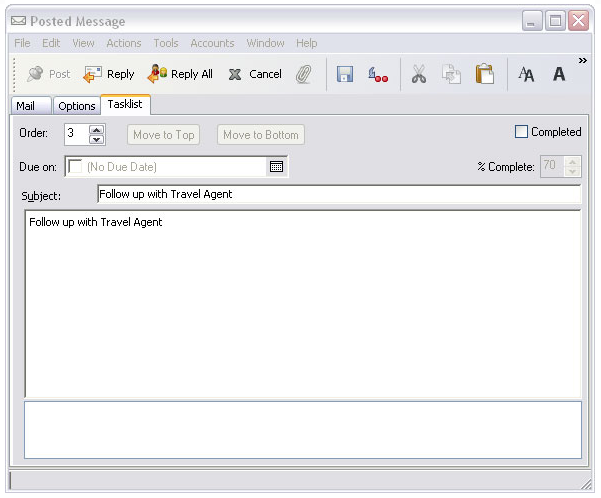 GroupWise takes a new approach to your in-box with social threading. This will help reduce the clutter when you get multiple responses to any email. It’s easy to see what’s new as well as how many unread responses you have too—all from a single glance. GroupWise gives you a Home View—a personal productivity dashboard that consolidates the tools and web applications you interact with most for any given aspect of your work. Even better, you can customize it to fit your business needs or let end-users determine their own Home View. View and manage your appointments, tasks, and reminder notes in a Calendar view. Create multiple calendars or publish personal calendars and free/busy status so that non-GroupWise users can conveniently schedule meetings with you. You can also use GroupWise to schedule appointments and tasks for yourself and others. Stay on top of critical action items by creating tasks for yourself—or for anyone else you rely on for completion of a project. Accept or decline the tasks you are sent, and track accepted tasks throughout the lifecycle of the project. Better yet, you can even turn any email into a task by simply dragging it into your Tasklist folder. Email can quickly be bogged down with attachments, especially when the same version of a file gets stored again and again. 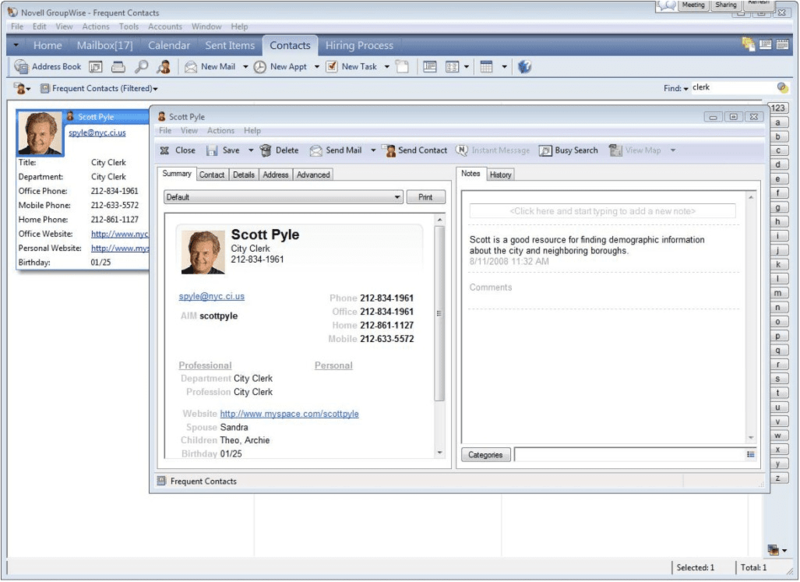 Cut down on the storage needed on your message server through integration with Micro Focus Filr. Now simply email a link that can allow someone to view (or even edit) the file without having to send the file itself. GroupWise gives you easy access to key information for all of the contacts, groups, resources, and organizations you interact with. Add a picture for that business colleague you’re meeting next week, or make note of your boss’s birthday. You can also briefly review the notes from your last client meeting before the next one begins. Best of all, you can access all of this information from your GroupWise address book or Contacts folder. Communicate in real time with other GroupWise users through Messenger. Messenger allows employees to collaborate wherever they are, regardless of workstation or device. 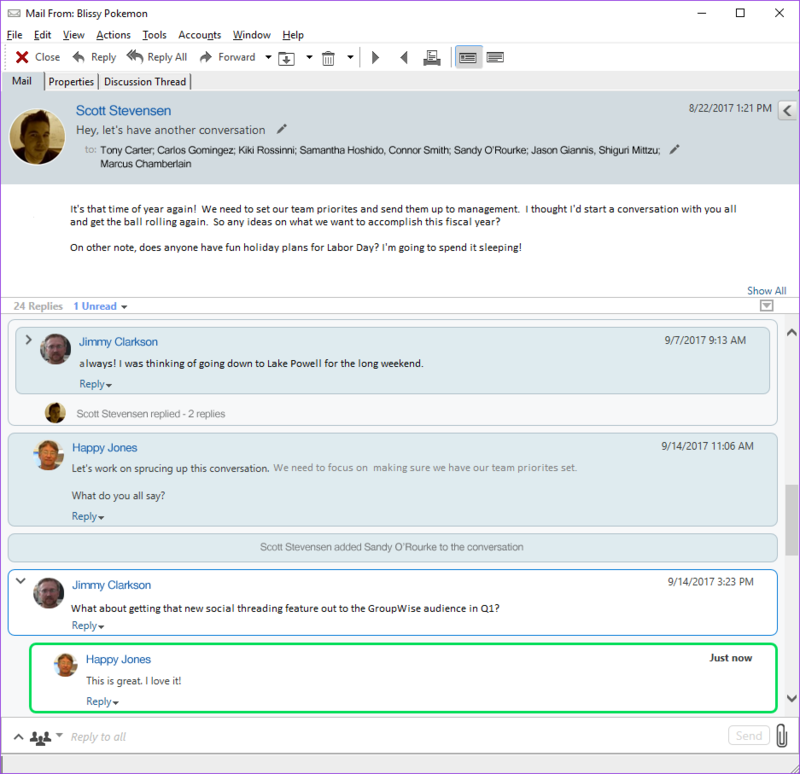 It also provides presence indicators to show when users are online, busy or away from their desks, and you can save important conversations for future reference. Messenger gives you real-time access to your colleagues so you can make decisions and address issues quickly. Mobility is the holy grail of personal productivity, so GroupWise offers a full set of options to stay connected whenever you’re on the move. Need to access your GroupWise data from your iPhone, Android, BlackBerry, or any of today’s ActiveSync-enabled devices? GroupWise Mobility Service has you covered. New web templates optimized for iPad and Android interfaces give a clean, seamless experience. And if you just need the ability to access GroupWise using a web browser from any location, our newly revamped WebAccess interface will give you the benefits of a robust client without the administrative overhead. Some of the most ardent GroupWise supporters are those who administer it. What do administrators love about the product? First, its rock-solid reliability. 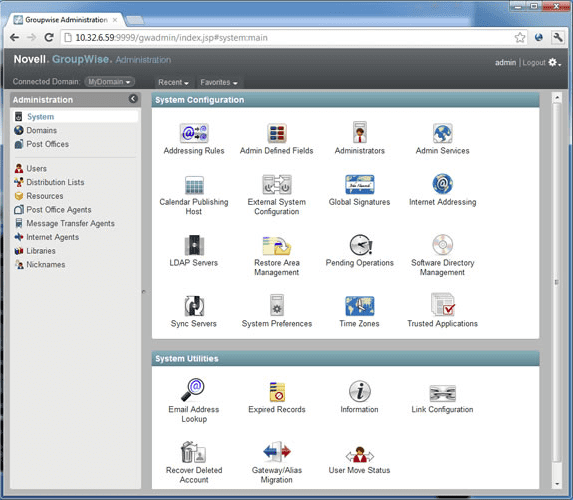 GroupWise also offers administrators the flexibility to run on Windows, Linux, or both. And speaking of administrators, an incredibly light administrative footprint means a single administrator can support up to 10,000 GroupWise users. Get all the benefits of GroupWise in the cloud either by hosting it with a partner or by upgrading to Enterprise Messaging and getting it directly through Micro Focus or through a hosting partner. Need to run both GroupWise and Exchange simultaneously in your environment? Don't worry—you can do that with Coexistence Solution for Exchange. With the [Micro Focus] solution, we are able to automate what we are actually doing. We don't define our processes by the tools we use, but by the way we want to do business.